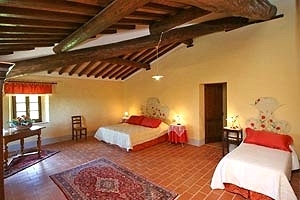 Farmhouse sleeping 16 near Subbiano (Arezzo), in Casentino. 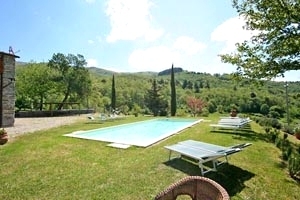 Wide garden, swimming pool, barbecue. 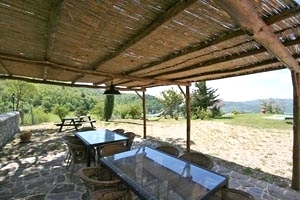 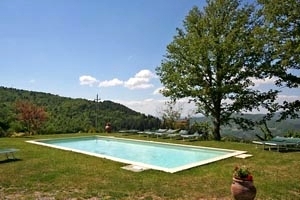 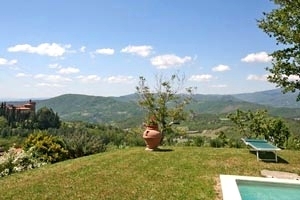 The farmhouse stands in panoramic position on the hills of Casentino, near Subbiano. 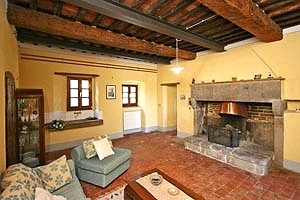 Subbiano is the first town along the left bank of the River Arno going up the valley of Casentino. 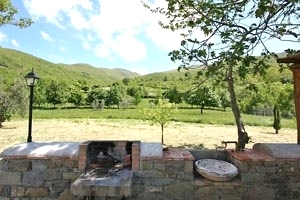 The village in the province of Arezzo is located in an area that has been inhabited since 3000 BC, when there lived tribes of farmers and cattle-breeders, as the items found during archaeological diggings in the Alpe di Catenaia demonstrate. 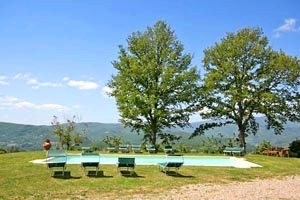 The ideal departure point for visiting the nearby Park of Casentino Forests and the sanctuary of La Verna, Subbiano still features a medieval castle that commands the river and a Longobard tower. 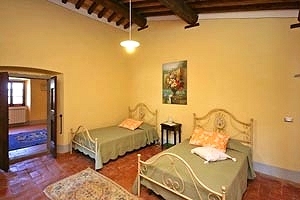 The 13th-century church of Santa Maria della Visitazione, the Ducci palace and the palace of the Podestà are worth a visit, as well. 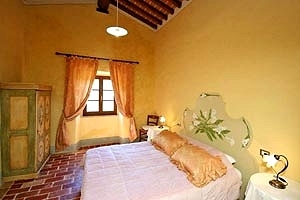 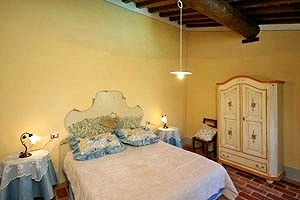 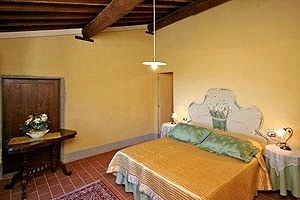 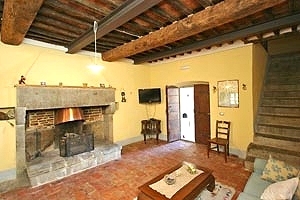 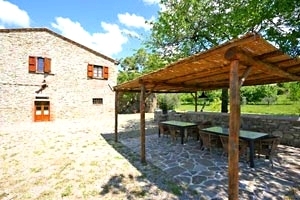 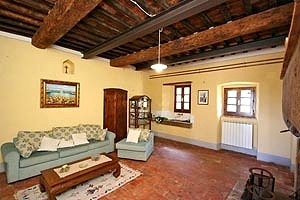 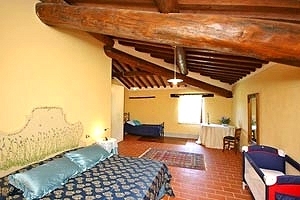 The beautiful stone farmhouse features some elements typical of the Tuscan country buildings, such as beamed ceilings and terracotta-tiled floors, and is surrounded by a wide fully fenced garden furnished with a hammock and a table and chairs for guests to have their meals in the open air. 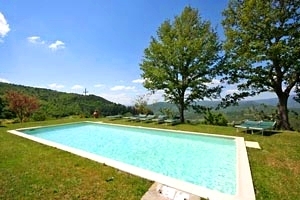 The private swimming pool (10x5 m; depth: 1.50 m) lies just a few metres from the house. 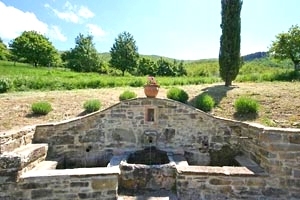 A masonry barbecue is at guests' disposal. 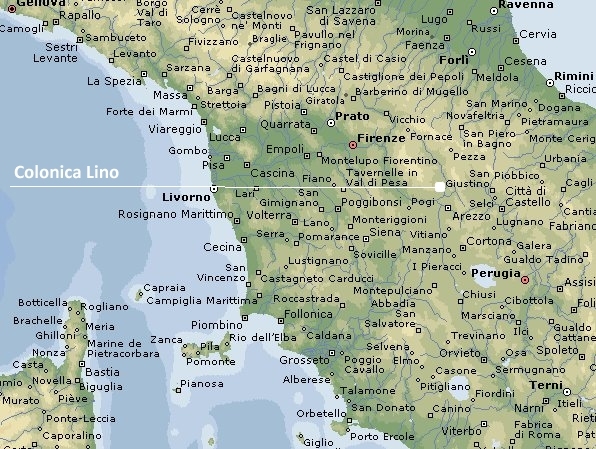 Many Tuscan cities of art and tourist destinations - including Anghiari, Cortona, Sansepolcro, Caprese Michelangelo and Arezzo - as well as the castles of Romena and Poppi are within short driving distance. 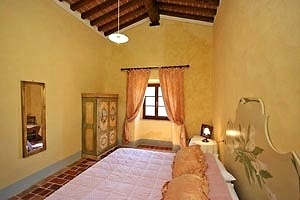 The two-storey building can accommodate 16 guests in 4 double bedrooms, 2 triple bedroom and 1 twin bedroom, and has 6 bathrooms. 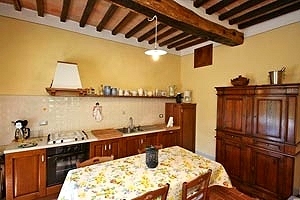 On the ground floor are the kitchen with a direct access to the garden, a living room with fireplace and the dining room with direct access to the garden. 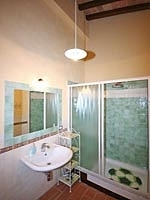 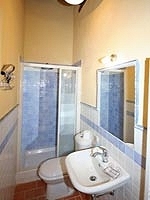 A second entrance leads to the laundry room and a bathroom with shower. 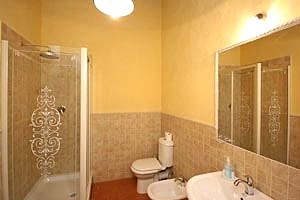 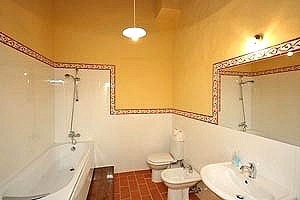 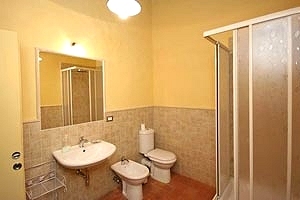 The first floor composes of four double bedrooms (two of which have an ensuite bathroom with shower), two triple bedroom (one of which has an ensuite bathroom with bathtub), a twin bedroom and two bathrooms with shower. 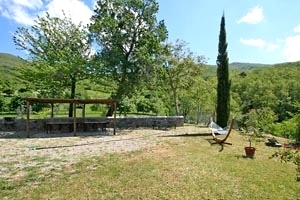 The farmhouse comes with swimming pool, hammock, barbecue, fireplace, satellite TV, American-style coffee maker, oven, freezer, washing machine, dishwasher, cot bed and private car parking space. 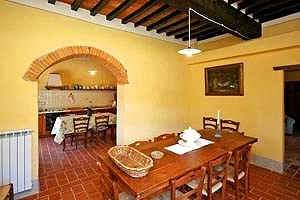 Dinners are organised at the farmhouse upon request. 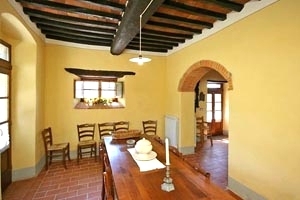 Shops and services of any kind are 8 kilometres from the farmhouse.